GramLine® SPF products use quality assured ColorSealed® prepainted steel. Why Use a Roofing Grade Finish for Fencing? Prepainted steel comes in a range of qualities and finishes that are designed for specific end uses based on the severity of the application and on consumer expectations. Roofing requires a higher grade of paint performance as roofing receives the highest level of harmful UV radiation. On average fencing receives about half the amount of UV that would be received by a roof in the same location. Domestic roofing is insulated and may reach temperatures above 95 degrees celsius, whereas fences are always significantly cooler. This means that roofing requires paints with very high performance. At GramLine® we have upgraded the paint finish used for our premium Steel Privacy Fencing to equal that specified and used on roofing. This gives you absolute peace of mind about the quality of the finish on your GramLine® Steel Privacy Fence. 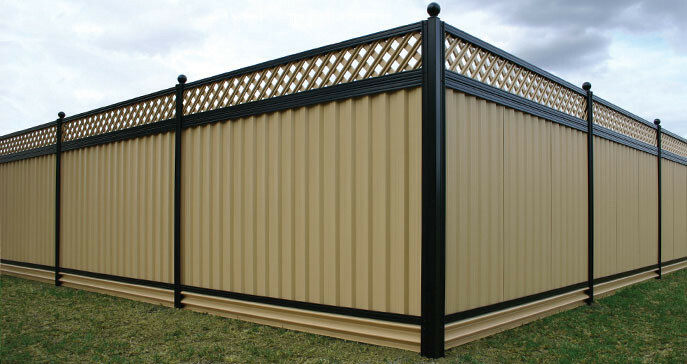 The types of paint finishes used on the GramLine® Steel Privacy Fencing range of products have a long proven track record under Australian conditions. These coating systems meet all the current Australian Standards. The one thing you can be assured of is that every GramLine® Steel Privacy Fence is made from quality tested prepainted ColorSealed® steel and is backed by GramLine’s 10 Year Plain English Warranty. There are some manufacturers who use lighter gauge thinner material that may not have the same paint thickness as the ColorSealed® product. The lower quality that results from purchasing cheaper products lasts for many years while the small premium in price paid for quality is long forgotten.